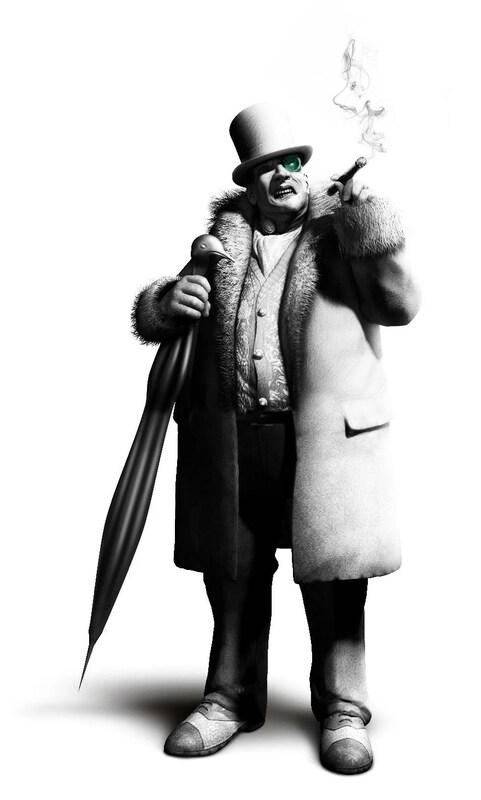 Short, fat, and sometimes disfigured The Penguin is not only a nemesis of Batman, but to Bruce Wayne as well, as Oswald Cobblepot. The Penguin has been pulling off bird inspired heists for decades at this point. Thwarted by Batman on the regular, however recently Penguin was promoted to a boss of crime of Gotham City. Which I think is great, it gives him more flavor in his character and opens him up for some new dimensions in stories, if that’s where they take it. That aspect gives Batman more into to the seedy underbelly of Gotham, a place The Dark Knight is at his best. Busting lowlife thugs in back alleys. Now The Caped Crusader has a savage, ruthless foe that might not take the businessman like approach what a “regular” wannabe mobster boss might do. There was also a push to have the man Oswald Cobblepot be a rival of Bruce Wayne in daylight society. Which was cool. The New 52 version of Penguin has him owning a legitimate night club, a front to doing illegal things. Not a new idea, the animated series did something similar with Oswald, but it’s an interesting alternative to just him being professional bird pun crimesman. Recently, Cobblepot had some run-ins with Harvey Bullock breaking into his club and accusing Oswald of hiring The Scarecrow to kill some people. The current television representation of The Penguin on Gotham might be the best thing about the show. Robert Lord Taylor’s characterization is spot on. Of the many incarnations of the character, The Animated Series might be my favorite, Danny Devito in Batman Returns is the creepiest, and Burgess Meredith is fun and lighthearted. Being one of Batman’s oldest foes The Penguin has been around for a long time, and will be there in the future to try to stop Batman.